501,00 EUR 19 % VAT incl. 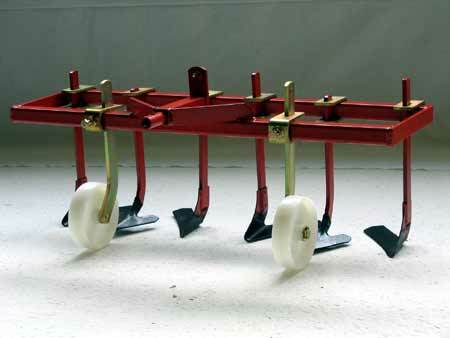 Universalgrubber with 2 goosefoot blades, 4 L-blades. Cultivator / Grubber bracket also fit for ridging bodies. Depending on two wheel tractor model you need a headpiece or a machine connection. This is available for a surcharge - Please contact us. Please then enter when ordering your two wheel tractor to type!